What they say: When Kat accidentally rips apart an old picture book, she's magically transported into the world of Cinderella--as Katriona, one of the ugly stepsisters! Life turns upside down now that she’s a highborn lady and must learn how to survive the social season, including how to get through the door in a huge metal hoop skirt. To get back, she'll have to complete the story, right to the end of happily ever after. But the odds are huge: the other stepsister is drop-dead gorgeous, the fairy godmother is nowhere to be found, and the prince, despite being insanely hot, openly dislikes balls. Can she ever return to the modern world? What I say: The Ugly Stepsister is a modern reworking of Cinderella. Main character Kat goes from awkwardly stuttering at the handsome new boy at school, to waking up inside a real life fairytale. Not only is she trapped in this tale but she's one of Cinderella's ugly stepsisters. Kat has invoked a curse where the only way to return home is to finish the story. 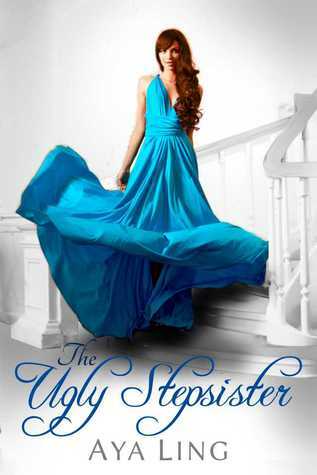 The concept actually reminded me of a UK TV programme called Lost in Austen, where a modern girl finds herself trapped in the world of Pride and Prejudice, but The Ugly Stepsister is for a YA audience. Kat has the monumental task of getting Elle, a shy servant, to marry the mysterious and handsome Prince Edward. Kat has to fight off her horrible mother, evil yet beautiful sister Bianca and do it all without a fairy godmother. I really liked Kat and she never failed to make me smile. Her antics were hilarious and the more desperately she tried to nudge Edward towards Elle, the more her plan backfired. Kat is fairly realistic about her looks but she's never overly critical of her appearance and has far more important matters to focus on. She's a strong character whose approach to life and equality made for a welcome change. The fairytale world of Cinderella was well crafted and I often forgot that Kat was an outside because she became almost more Cinderella-like than an ugly stepsister. The book itself is a kind of fantasy, historical YA crossover. Is there romance? Yes, but I'm not going to say between whom or how it turns out. I was both happy and sad about the ending and would like to have seen more about a certain Prince.